Whether you’re trying to lose 10 pounds or more than 100, these nine weight loss success stories will inspire you to take those first steps you need to make a change. Whether you’re trying to lose 10 pounds or more than 100, these nine weight loss success stories will inspire you to take those first steps you need to make a change. 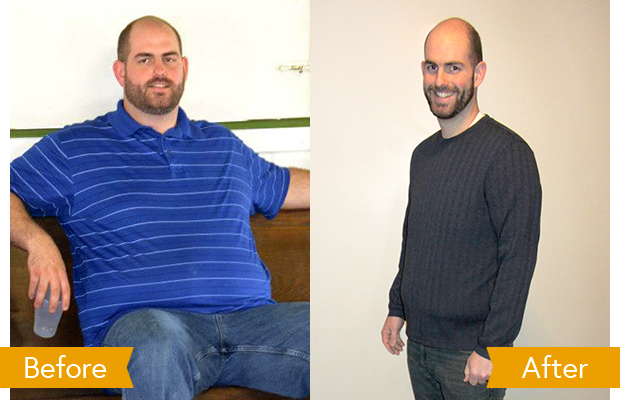 Together, they’ve lost a collective 603 pounds through eating and lifestyle changes that included Daily Burn workouts! They’ve relied on food diaries, attitude shifts and plain old exercise to whip their bodies (and minds) into the best shape they’ve been in for years. Find out what motivated each of these men and women to get started—and most importantly, what kept them going in the long run. Steal their secrets and start writing your own success story next. 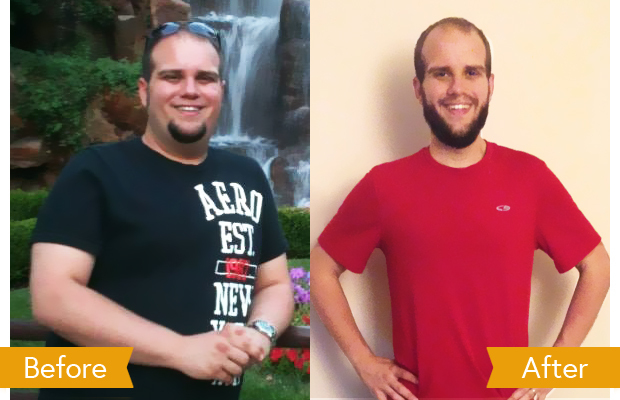 Weight loss wake-up call: When Alex Clary got a scary report from his doctor post-college, he realized it was time to make a change. Heart disease ran in his family—and he didn’t want to be susceptible to health problems down the road. “That was the trigger, I thought, ‘I’ve got to do something about this,’” he recalls. How he did it: DB15, Inferno and Move! Secret to success: Starting small. “I tried not to set my goals too high,” he says. 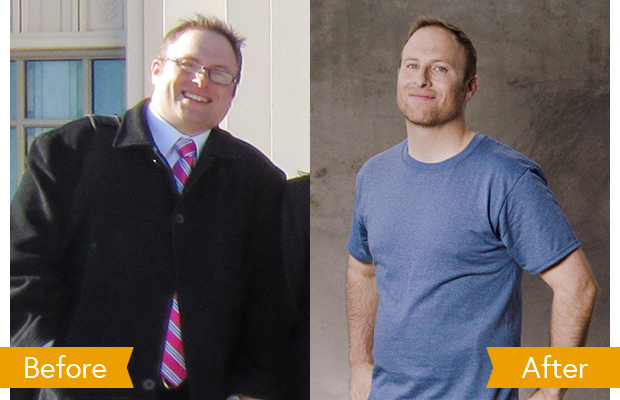 “I wanted to get to 200 pounds but I figured with doing only 15 minutes here and there, there was no way that could ever happen.” But after cutting fast food from his diet, and focusing on portion control, Diggins started to lose weight. “What set this apart was that it was the longest I’d been on any exercise program because it was hard to tell it no,” Diggins says. Weight loss wake-up call: It wasn’t until after giving birth to her son that Herrera’s weight became a problem. 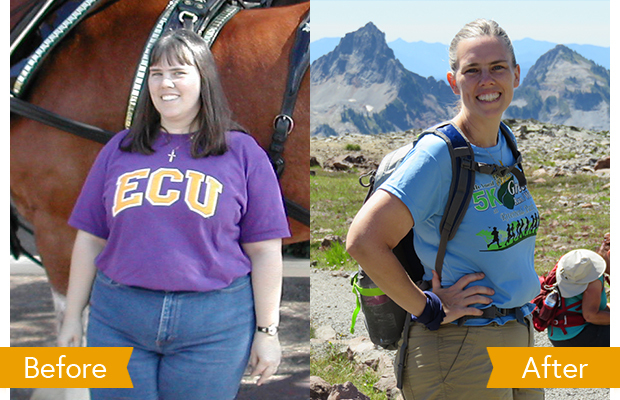 “[It was] just me continuing to eat for two even though I wasn’t feeding two anymore,” she recalls. “And I’d say, ‘Oh, I’m just big because I had a baby!’” But after the death of her grandmother, she realized it was time to get her weight under control. “I kept the clothes she bought me because I wanted to hold on to them, but they didn’t fit,” Herrera says. Secret to success: Short-term goals. 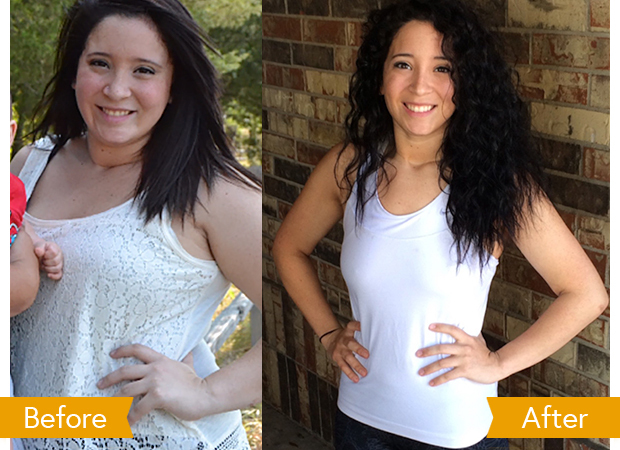 “My ultimate goal was just to get to 145, but my short-term goal was to cut it down halfway to 165,” Katarina says. “I’d give myself many goals, just so I wouldn’t get discouraged.” Slowly, she started swapping her usual breakfast of toast for a protein-packed meal of eggs. Baked chicken and veggies replaced breaded chicken and mashed potatoes at dinner. “It’s all about feeling confident rather than what the scale says,” she notes. Weight loss wake-up call: Though she’d struggled with disordered eating and weight gain for a long time, it wasn’t until she met her now-second husband that Idoni decided it was time to shape up for good. Plus, as a mother of five, she wanted to be a healthy role model for her children. Secret to success: Learning to shop healthy on a budget. With a large family to feed, Idoni had to get creative in the kitchen to stretch her funds. “I’ve found that cooking things by scratch takes a lot of time, but you get a lot of nutrients and it’s pretty cheap, so I buy a lot of dried beans, because it can go a long way,” she says. “We also use a lot of potatoes and rice, and I try to get things on sale and buy in multiple when I can,” she says. Weight loss wake-up call: The 183 pounds Shingletown was carrying on her 5’3” frame was starting to take a toll on her body. “…I was having a year-and-a-half long bout of plantar fasciitis in the bottom of both of my feet,” she says. 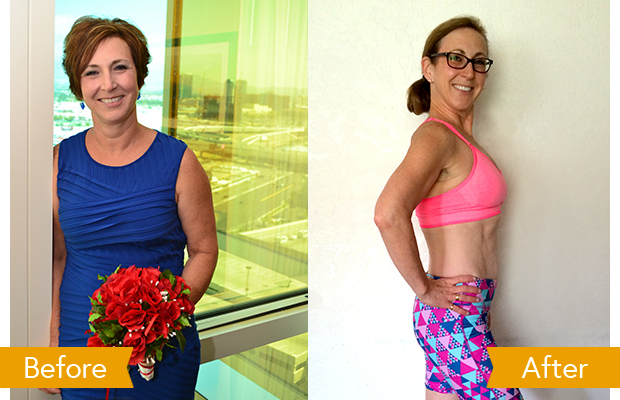 “It was miserable, every time I would get up, I was hobbling.” Even though her injury may have been unrelated to her weight, it prompted her to start eating clean and getting fit. Weight loss wake-up call: After suffering from appendicitis, Bloom feared she’d only end up spending more time in hospitals later in life if she kept gaining weight. “I said, ‘OK, this is such a miserable experience. Even though [appendicitis] isn’t a weight-related issue, someday there will be one,’” she says. Secret to her success: Staying positive. An optimist at heart, Bloom’s sunny attitude helped her stick to her routine of measuring what she ate and exercising diligently. “While I’m exercising, I’m telling myself, ‘You can do that, you’re strong, you’re fast, you’re amazing,’ and then my body will follow,” Bloom says. Weight loss wake-up call: Though she always remembers being heavy, Fields’ weight really started to escalate after the birth of her daughter. 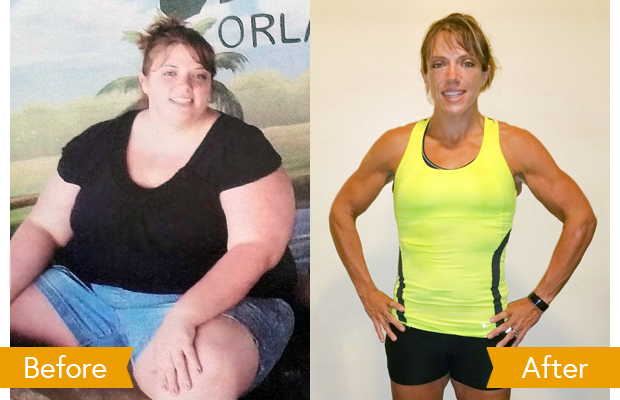 When she saw a photo of herself on a cruise in March 2014, she got inspired to change her ways. 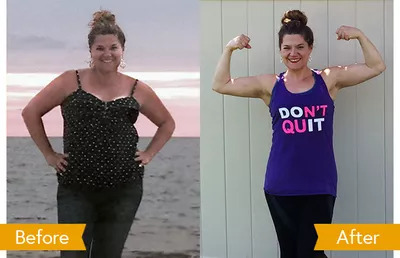 Weight loss wake-up call: When Stacy Cole booked a trip to the Caribbean to celebrate her wedding anniversary, she decided to use it as motivation to shed pounds from her frame. Secret to her success: The right attitude. “To be very honest, my diet hasn’t changed too much, but what I think has changed the most is my mindset. Because I’m not calling it ‘a diet,’” she says. 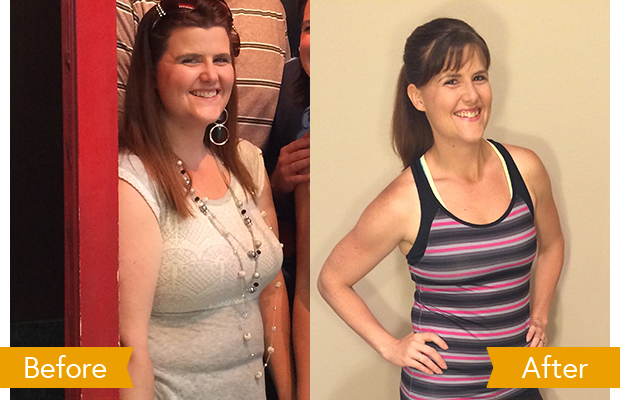 Instead of doing a huge overhaul, she started making tiny tweaks to her meal plan. Rather than eating pasta, she’d make spiralized veggies. And instead of snacking on chips, she’ll grab an apple or some green beans. “I’m taking care of my body, I’m putting in good food,” Cole explains. To learn more about Daily Burn or to try a free 30-day trial yourself, click here. Note to reader: The content in this article relates to the core service offered by Daily Burn. In the interest of editorial disclosure and integrity, the reader should know that the core service site is owned and operated by Daily Burn. Daily Burn users who worked out for 30 minutes or more at least five times a week for 60 to 90 days reported an average weight loss of about one pound per week. For those seeking to lose weight, keep in mind that extreme weight loss can be harmful to your health if done improperly or too suddenly. Always talk to your doctor before beginning any exercise or weight loss program.